We’re a proud sponsor of The Pitch, the UK’s biggest small business competition. The main prize is a large chunk of free business guidance from some of the country’s leading entrepreneurs and business experts – plus a free year of Xero. Yesterday, 50 budding small businesses and entrepreneurs from around the UK gathered in London to attend the southern leg of The Pitch boot-camp. During the day, the 50 finalists had a packed agenda of workshops and networking sessions, including an engaging presentation about cash flow and how to get their business off the ground by Ashley Driver, Xero Education Specialist. Here’s a few things that we focused on throughout the day. Cashflow can make or break a business. Yet having a healthy business cashflow is not entirely within your control; it depends on customers paying you promptly. But invoicing isn’t always straightforward when you’re busy. More important things like sales or strategic tasks like marketing become the priority. Money, as we know, is the lifeblood of any business, so getting your cashflow right is as critical as it is time consuming. Before you start feeling overwhelmed about what’s ahead of you, consider these tips that will help take the strain away from the financial management of your new business and give you that precious time back to focus on running it. Be clear on your payment terms and state them on the invoice. Remember that if you do want to be paid within 30 days, you’ll need to set your payment terms at 13 days. Broach the difficult subject of money upfront and agree payment terms in advance. You will only be respected for this. Online invoicing is a great way to collaborate with your customers in real time. Any changes made in Xero are instantly updated, giving you information around whether the invoice has been received, as well as viewed. 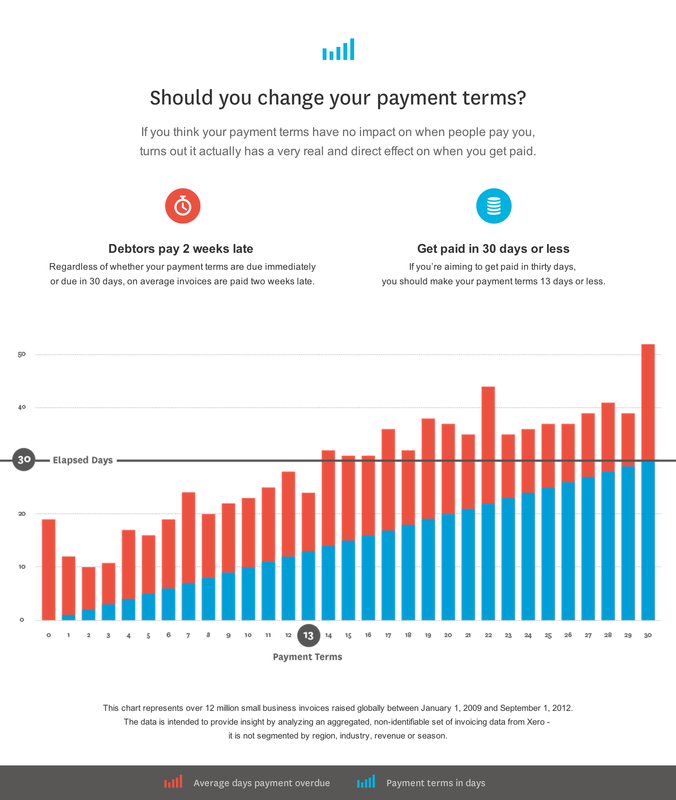 This, coupled with a payment service, can really help get that payment in quicker. Up to 2 weeks quicker in fact! Never be afraid to follow up on overdue invoices. Let the client know immediately if their account is overdue. (Don’t forget to set up your automatic invoice reminders when the feature is launched in Xero). Sending these reminder emails can help, but a better option is to pick up the phone and talk to someone. Reminders from a real person are much more persuasive than automated emails. Keeping on top of who owes you what. Proactively, but politely, chasing for payment. By talking to customers and creditors regularly, having great records on whose payments are outstanding and chasing the right people in their accounts payable teams, you’ll soon have a regular and consistent cashflow, as well as great business relationships. With both bootcamps now completed, we’re counting down to The Pitch final at the Paintworks in Bristol. The overall winner will win an incredible prize package that includes expert mentoring from business leaders and free access to world-leading products and services – including a free year of Xero. For more tips, advice and accounting essentials for your business, check out Xero’s Small Business Guides.